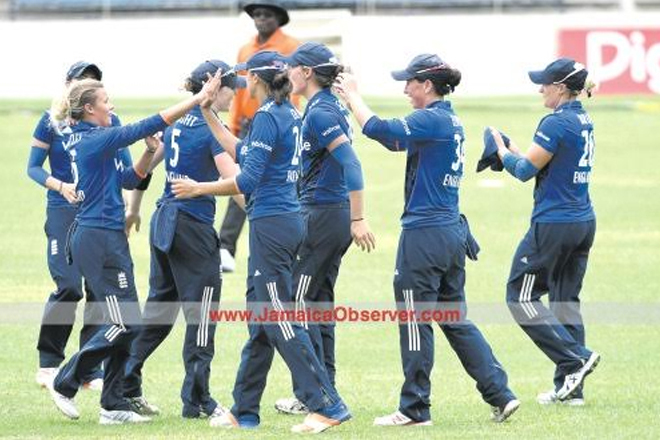 England Women overcame their West Indies counterparts by five wickets at Sabina Park yesterday to clinch a 3-2 victory in the topsy-turvy five-match One-Day International series in Jamaica. West Indies Women batted first and were only able to muster 155 all out in murky and overcast conditions in the morning. Captain Stafanie Taylor was again the anchor of the home side’s innings with a patient knock of 57 — her third half-century of the tour.